Internal and external water damage events occur more frequently than you would expect. It is important to equip yourself with knowledge of what to do. 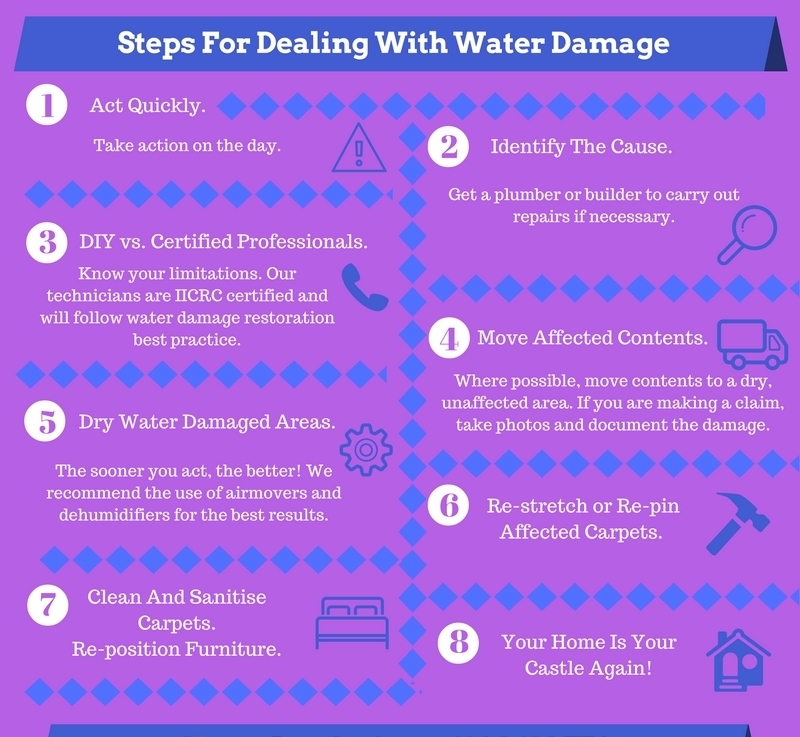 Welcome to your Comprehensive Guide to Water Damage Restoration. In this step-by-step guide, we will share our experience of 20 years in the restoration industry. It may help you when trouble strikes. Regardless whether you are a property owner, tenant or real estate agent, the drama of flood damage requires an appropriate response. First, we will provide an overview of the various internal and external potential water damage sources. When is internal water damage restoration required? 1. Cistern leakages. 2. Sink or bath overflows. 3. Broken or leaking pipes. 4. Hot water system leakages. 5. Sewage backup. 6. Aquarium leakages. 7. Washing machine spillages. 8. Air conditioning discharge. 9. Broken flexihoses. 10. Waterbed leakages. 11. Shower membrane degradation. 12. Dishwasher leakages. 13. Fridge drip tray overflows. 14. Water dispenser malfunctions. The EPA is of the opinion that 10% of homes have internal leaks of up to 360 litres per day. Many drips and leaks are easily fixed by simple maintenance. Unfortunately, many internal water damage leaks (toilets, leaking showers, internal pipes) go unnoticed for a long time. The extent of the water damage and resulting secondary damage (mould incubation, rotting underlay, concrete cancer) becomes worse over time. This may mean you have more problems than you think. Be aware, however, that not all leaking taps or cisterns cause water damage. It is never a bad idea to keep an eye on your water bill and water consumption. When going away on holiday, it is a good practice to switch your hot water system off and close the water mains, as there have been situations where people go away on holidays, only to discover significant water damage on their return. In some instances, when owners or tenants are absent from the property for an extended period of time, they are alerted by neighbours that water is streaming out of their garage or front door. Urban Utilities has great advice when it comes to what you need to consider before going on holiday. It is also worth making sure whether your household insurance covers certain types of water damage events. Usually these policies cover costs associated with ‘sudden’ water-related damages, but are less likely to cover the cost of damage caused by gradual leaks, even if they are concealed, as it is deemed the responsibility of the person living at the property to perform regular maintenance checks. See here for more information. When the cistern overflows from the top of the toilet, it generally points to some kind of mechanical fault in the flushing mechanism. This type of leaking water is clean and does not pose a health hazard’ if the water damage is addressed within 24-48 hours. You may find yourself asking, ‘what do I do?’. Mop up the water with a mop and/or kitchen paper and engage a plumber to fix the flushing mechanism if you’re not into DIY. If you fancy yourself as a bit of a fixer-upper, then take a look at Wikihow for some simple steps on how to fix a faulty flushing mechanism of a toilet. Or, like Stephanie from Balmain, you may only discover the extent of the damage later that day… By which time, the water had managed to penetrate 3 levels of her house. What did Stephanie do? She called her insurance company immediately. From there, the insurance company called us and a plumber, and we had restorers to attend the same day to install drying equipment and extract the water from all the floors of her home. Many of us have had an event like this. Children or absent-minded adults all have their moments. If you think about it – all that needs to happen is a distraction. That crucial phone call or the unexpected visitor at the door. Most of the time the water is clean but in some cases soap or washing up liquid may be present in the water. If you consider that your tap may be able to produce 15 litres of water in a minute, an unexpected phone call of 1 hour can produce an overflow of 900 litres of water damage. When water overflows in large volumes, it can do more than just flood the tiled bathroom or kitchen. It can cause damage to carpets or floorboards which connect the bathroom to other areas of the house. In some serious cases, overflows from sinks or baths can even come through the ceiling, into rooms below. We have seen this type of secondary damage many times, it is more common than you would think! Pipes transport water throughout the home. Pipes are found in walls, concrete slab, outside the home and even in the attic. There are design variations in homes but mostly pipes are found in the same locations. Pipes break or leak because of rust, nails pounded into floors, drilling of walls or floors or due to a slight movement of the base of the house. Slight leaks can go on for some time before they are noticed. We have come across instances where a very minor pipe leak caused carpets to rot and caused permanent damage to laminated or particle board furniture. Many people refer to it as the water heater. 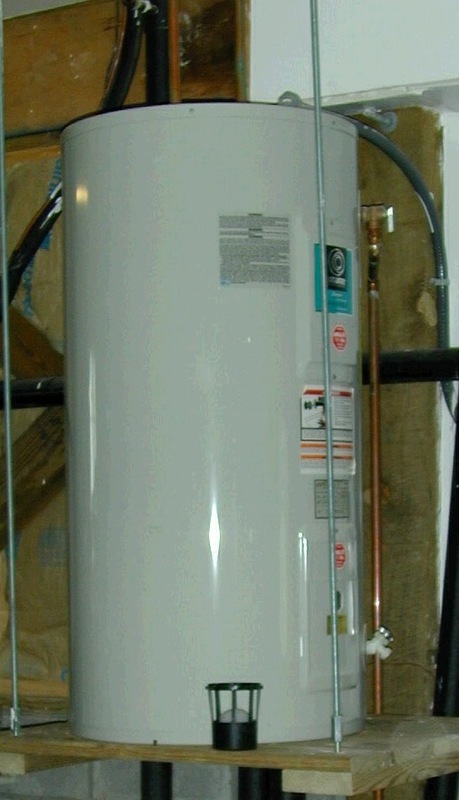 Most commonly, water heaters have a life span of between 10 – 15 years. Rusty deposits at the base of a hot water system can be the first sign that the system is coming to the end of its life. If you see water dripping or pooling around your hot water system, it is important to first identify whether there is a lot of water being expelled at once or just a few drips at a time. This will indicate how urgently you need to react to the problem. According to Home Tips, there are a few early signs to look out for when it comes water heater leaks. 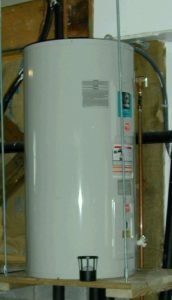 In many instances the water heater is positioned outside the home and water damage is confined to the garden. In apartments, however, the hot water system may be internal and can cause a huge amount of water damage to a property. In most cases the water is clean but has been known to be rusty. This is by far the nastiest type of water damage. Just consider the bacterial implications and the general ‘yuck’ factor. Toilets get blocked for various reasons. Extreme amounts of external flooding will at times wash contaminated water into properties. Organic matter combined with the incorrect disposal of sanitary pads, nappies and wet wipes could be the culprits, too. Have you ever noticed how hotels sometimes have notes in bathrooms requesting that you don’t flush anything other than toilet paper? There’s a reason! Tree roots can also grow into sewage pipes and cause a blockage. Plumbers will often use water pressure to remove the obstruction. Water damage restoration teams dealing with this type of water damage are required to wear the appropriate Personal Protective Equipment (PPE). This includes wearing gloves, respirators, eye protection, and protective clothes. Not every contaminated water situation requires full PPE protection. All our staff are IIRC certified and will follow the appropriate occupational health and safety guidelines. For more details on how water damage is classified, see www.iicrc.org/registrants/industry-perspective/. Quite often complete decontamination of building and contents is required, when there is sewage spillage involved. This is followed by structural drying and removal of moisture to drive bacterial levels down. We recommend that sewage contaminated carpets and underlay be removed and disposed of by a professional water damage restorer. In extreme cases a hygienist is engaged to test the property for e-coli during and after the restoration process. Many people love to keep fish in their homes. Considering that some fish tanks hold between 200 to 400 litres of water, a fish tank leak has been known to cause a lot of damage. The water is considered to be contaminated and whilst it is not exactly category 3 ‘black water,’ it still has a very strong smell when it leaks onto carpets and floors. There are some products out there that will detect any leakage and alert you through an alarm, email or SMS. These devices can be particularly useful when you are away at work or on holidays. If you wish to obtain more details on these smart devices, visit Neptune Systems. We all know that doing laundry is one of those ‘set and forget’ activities. It is boring to the extent that we may get the machine going and then go out shopping. However, here is the thing. Washing machines can malfunction and water hose connections may fail. Thousands of litres of water from this kind of spillage can await you when you return home a few hours later. Water migrates through walls, ceilings, floors, carpets, soft furnishings and cause many thousands of dollars of damage. The leak detection device mentioned previously would come in very handy here! If you are at home when the washing machine malfunctions, switch the water off at the tap immediately! Whilst not that common in homes, we have seen cooling systems flood several floors of commercial buildings. As with most types of water ingress, it does not matter how much water is getting in but rather the length of time that elapses before the leak is discovered. Leaking air conditioning systems may have a long weekend, where it is left unnoticed, to just flood away! There are a few causes of water damage via an air conditioning system. The condenser pump may not be working, incorrect installation may mean your unit is not level or the water drain hole becomes blocked with dirt. Red Beacon has additional information concerning this kind of leakage. The popularity of these kinds of fittings are obvious. In the past, soldered copper connections were used which could not be shaped easily. Installation was more rigid and complicated. These days, just about anybody can install a flexihose. The lower quality braided flexihoses have a reputation for causing water damage. Flexihoses are the cause of water damage in about 10% of all the flooded homes we come across. Given that flexihoses are found throughout many homes connecting toilets and sinks, it is not a bad idea to inspect these hoses from time to time. Reece Plumbing sell the Duraflex hose with a 10 year warranty. www.reece.com.au/plumbing/products/107602). Many generic braided flexihoses are sold in hardware stores with just a fitting instruction. Some people swear by the comfort of sleeping on a waterbed. For a water damage restorer, waterbeds are just another potential source of flood work. In most cases the leak only affects one room and it is clean water. The biggest challenge is moving the waterbed! Moving a half full waterbed in nigh on impossible. The bed bladder needs to be drained completely for us to get to the carpet/floor to extract the water and dry properly. There are repair kits available for small cuts/holes and we recommend that the repaired bed is then relocated to another room until the drying, sanitisation and cleaning process is complete. The membrane between the shower and the concrete slab can degrade over time and cause damage to walls, ceilings, floors and carpet. Just the slightest movement of soil under the house may be enough to start the degradation process. Cracked tiles or grout result from this movement, which then allows water to get through to the damaged membrane beneath. Quite often the amount of water that leaks out is small and this type of water damage can go undetected for a long time. In many cases it the rotting gyprock wall, ceiling and/or carpet that is the first thing you notice. Click here for more information about this issue. It is worth noting that some insurance companies in Australia do not honour water damage claims caused by shower recesses. Another example of a labour saving device with huge water damage potential! Older dishwashers consume more water than newer dishwashers, using between 37.8 litres to 56.7 litres per load of washing, according to Home Water Works. The causes of dishwasher flooding vary from a door seal malfunction to using the wrong type of detergent. Other factors may include a water valve leak or a pump seal that simply wears out. Water hose seals can also degrade over time. The leaking can range from being extremely obvious or very subtle drips underneath the machine. From time to time, a blockage may occur in the drain line of your fridge. This may result in water damage if the appliance is not maintained properly. In most instances, the leakage is small and may go unnoticed for some time. It is not uncommon to find a mouldy area of gyprock behind the fridge because of this. For more information on how to access the drip pan to clean it, remove a blockage or repair it, we suggest taking a look at Home Guides. Some people love to have a water dispenser at home. As with all things containing large amounts of water, the dispenser can break and thus cause water damage. Although less commonly used as a bedroom feature, lava lamps can also cause indoor water damage if they break and spill. Lava lamps may contain a variety of contents, and as such, the cleaning process will vary. As a general rule, if the lava lamp was in use when it broke, unplug it and allow 1-2 hours to allow the contents to cool as it will otherwise be too hot to touch. Find some tips of how to clean up a lava lamp spillage here. Now that we have gone through the possible internal sources of water ingress, there are also external sources of water damage to consider. Often external sources of water damage pose bigger problems for owners and tenants as the damage caused can be quite extensive. 1. Open Windows. 2. Concrete Screed Degradation. 3. Roof Damage. 4. Gutter Overflow. 5. Flash Flooding. 6. River flooding. External water damage has become more severe and more widespread in the last few years and is expected to become worse due to Global Warming. External water damage can be extremely sudden. Usually characterised by wild weather with gale force winds, torrential rain and sometimes hail, it is a phenomenon which is becoming more common. Live in Darwin, Sydney, Melbourne or Brisbane or anywhere else in-between and you will have experienced the vagaries of our Australian climate. I know it sounds funny! It does happen though. You think something as obvious as closing the windows during a severe weather event is a given. However, you not may be at home when the storm breaks. It might be that you left a window ajar for the cat to come and go. Strong wind, the correct wind direction and torrential rain will do the rest. Open windows generally do not cause extensive water damage. Fly-screens may stop some of the rain. Blinds/curtains and the carpeted area/floor next to the window will bear the brunt of this type of storm water ingress. Water damage restoration is mostly very straightforward with rain coming through windows. However, sometimes the storm can be particularly ferocious and cause your window to break altogether – leading to a lot more water entering the property. This is what happened to Marcia of Paddington, who had water damage occur in her stairwell (pictured below after the window repairers had attended), hallway, master bedroom and walk in wardrobe. Our technicians attended the same day, although it was a Sunday to install drying equipment and mitigate the spread of the damage. In times of an emergency, our water damage restoration team can be counted upon! Concrete screed damage may cause ground water to seep through the floor. This happens quite often to properties where large tree roots work away at the concrete to the point of screed damage. From this point, any heavy downpours can lead to moisture ingress into a property. Concrete degradation has many causes. The Wikipedia page https://en.wikipedia.org/wiki/Concrete_degradation on this subject delivers an excellent insight into the process. This kind of problem can go on for months and even years before it is discovered. Rotten carpet, damaged timber and/or mould incubation may all be the result of this type of degradation. Wild weather may cause tree branches or even whole trees to be uprooted. Larger trees close to a dwelling have the potential of damaging the roof if they fall over and this then allows rain water to enter the property through the ceiling. Large hail stones can have a similar effect – most famously the hail storm of 1999 in Sydney. The estimated damage repair bill of $2.3 billion still holds the record in Australia as the most expensive weather event in our history. https://en.wikipedia.org/wiki/1999_Sydney_hailstorm . Other lesser hail storms could leave minor cracks in your roof tiles, which may result in small amounts of water dripping onto the insulation and ceiling every time it rains. It sounds a strange thing to say but slow minor water damage can occasionally result in more secondary damage than a sudden ingress, as it often goes undetected for a long period of time. The first thing that you may notice is a yellow stain on the ceiling. Over time the ceiling may bow and mould could start growing through the ceiling. Quite often the ceiling or part of the ceiling will need to be replaced. Insulation material around the affected areas is also best thrown out and replaced. A gutter overflowing is really one of the more contentious types of water damage. Gutter design and the building code in Australia have a lot to answer for. Insurance companies expect policyholders to keep their gutters clean because, if gutters overflow and cause water damage, it is often deemed a maintenance issue and the claim may be dismissed. It is our view that there is far more to this issue than is immediately obvious. There are three things to consider. Gutter design in Australia copes with a certain amount of rain only. We get more rain coming down in shorter periods of time than ever before. Extreme weather is now a regular occurrence. We still allow properties to be designed with the gutter being placed right next to the wall without eaves separating the two. We do not make it compulsory for gutters to have overflow slots. The front of the gutter may be higher than the back. All these factors contribute to flooding into external property wall cavities. Over time the water may cause the gyprock on the inside of an external wall to rot and go mouldy. Just after a big storm, we regularly come across homes where the owner/insured/tenant have no idea how the water got into the property. The whole issue briefly discussed here is analysed in full at http://www.roof-gutter-design.com.au/overflow.htm. Water from the garden or street can dam up against a dwelling in flash flooding. It results from heavy rain over a prolonged time. Moisture enters through doors, windows, garage entries and even cracks in a wall. This type of flood damage is more common on sloping properties. Some suburbs in the Northern Beaches and Lower North Shore in Sydney are very prone to these kinds of water ingress. We have seen many examples of gardens becoming unplanned ‘dams’ through the years. This newly formed dam invariably finds a way into the property, resulting in contaminated water damage which smells dreadful and requires professional restoration experts. When renting or buying a property, you can save yourself a lot of grief by picking a home on the high side of the street. Most homes in Australia have inadequate drainage systems when it comes to very heavy rain. You do not want large volumes of water, damaging stored contents in your garage. When the property is on the low side of a road, this can happen. It is worth noting that e-coli and heavy metals in the flash flooding water are transported from gardens and streets to cause a problem. The level of contamination is not as severe as a raw sewage spillage, but affected carpets should be replaced, as should contents which were affected by the event. We often wonder why people build their homes in a valley next to a river. Our weather is now so unpredictable that the next drought or flood period could be coming in increasingly frequent intervals. The recent river flooding in Brisbane caused enormous amounts of damage to the buildings and contents of homes. To add insult to imjury, many households had no insurance cover or found out that they were not covered for a river flooding event, when they needed it most. Our restoration team have entered properties where there is a tide mark on the walls of 1 metre and higher. River water is quite contaminated which means that most of the contents of the affected homes were ruined and had to be thrown out. Gyprock is often cut away to allow the buildings to dry out. The work needed can be very expensive. However, many households that have this kind of damage, find they are not covered by insurance and cannot afford to pay for structural drying or professional anti-microbial treatment. When households don’t take the necessary steps of engaging proper water damage restorers, there is a chance they can be on one of the major pathways to creating a “sick building syndrome”. By now, you’ll have identified the source of the water damage. It’s then time to take action. 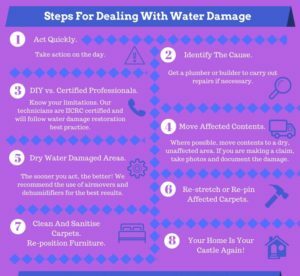 What can customers do with a water damaged home? Act quickly. Whether you wish to do the flood restoration yourself by renting extraction and drying equipment or appoint a professional restorer, take action on the day! Stop the water source (if possible). If the water levels were quite high, you will need an electrician to test sockets before you use any extraction or drying equipment. Move all affected contents out of the water damaged rooms where at all possible to dry rooms with a tiled surface. If furniture cannot be moved, put foil or plastic under wooden furniture to limit varnish staining of carpets. This will also stop the furniture from absorbing further moisture. 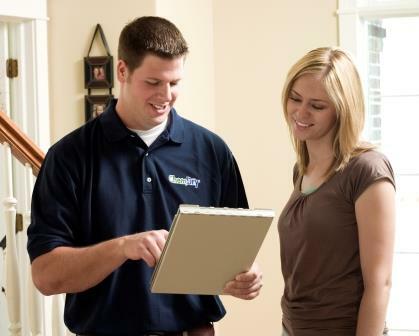 If you are insured, check with your provider if your water damage event is covered. If you have a wet-dry vacuum or you have hired an extractor, start getting the water out of the property as soon as possible. We recommend that you only attempt this in the event of a minor water damage as there can be safety issues, where electrical outlets come into contact with water. If the water is contaminated, stay out of the affected rooms and do not spread the contamination to unaffected rooms through foot traffic. Engage an IICRC certified water damage professional to look after your restoration. Treat your water damage as an extreme emergency and try to get started on the same day. Delay can lead to an array of avoidable secondary damage. Natural drying of carpets is not at all advisable. Carpets, underlay and floor will all stay wet for longer and enable mould to incubate (which only requires about 48 hours). Mould spores increase over time and can affect other rooms. Even small untreated water damages may have long-term mould consequences, which will affect the health of a home and its inhabitants. The relationship between moisture and mould is discussed in detail on Pingi Australia‘s website. If you are able in the case of an event to lift the wet carpet and remove the saturated underlay and insert a fan either on top or underneath the carpet, drying will be quicker and lessen the risk of mould developing. It is also a good idea to position a dehumidifier in the affected room. Drying wet carpet quickly is crucial when it comes to containing damage in flooded homes. 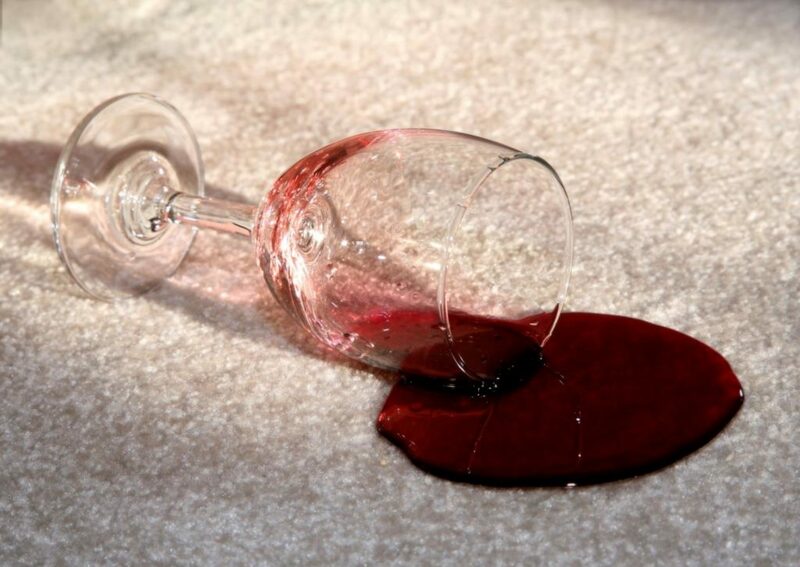 Water damaged carpets can conceal moisture in the underlay and floor. Do not be fooled by a carpet that is drying on the top. When dealing with damp carpet or wet underlay, the best way to determine moisture levels is to use a moisture probe. For most customers this is not an option as it is a professional tool. You can, however, follow your nose. When drying a wet carpet, it may be smelly or there may be a musty carpet smell present. As soon as the floor, underlay and carpets are dried, the smell should disappear. Should the weather permit, rugs and other contents could be dried in the sun. To limit damage to rugs, these items should be laid flat on a tiled floor. Quite often wet rugs are left on wet carpets. Neither carpets nor rugs will dry quickly in such a case. 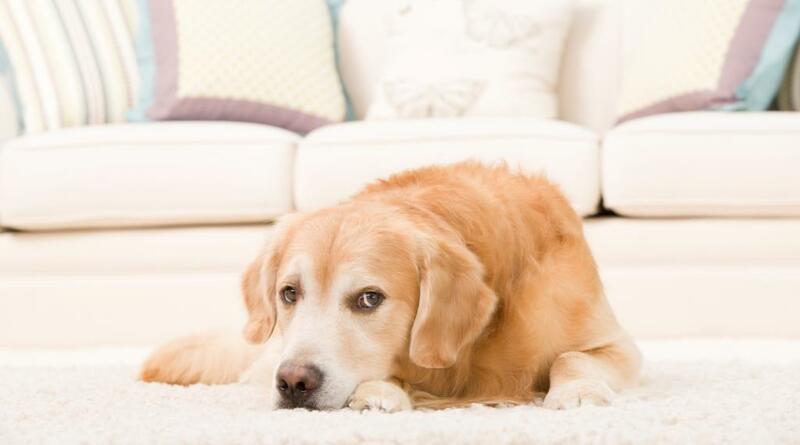 In addition, permanent dye transfer from the rugs may stain the carpets permanently. When should water damage restoration experts do the work? When the water has affected more than 5 square metres of carpet/floor, it is recommended you engage a water damage restoration expert. When it comes to wet carpet, water quite often affects a far greater area than you can see superficially. Damp carpet is quite different from saturated carpet, where it is so wet that you can create wet footprints on the fibres. Still unsure? Take your shoes off and walk with white socks on the carpet. If your socks become sopping wet and stain, it is time to call the wet carpet professionals. If you are elderly or have back problems, it is worthwhile getting an experienced water damage restoration to deal with the physically challenging nature of this work. The physical demands of doing water damage restoration is not for the faint hearted! It is also recommended that you contact a restoration expert when you have expensive woven carpets, as shrinkage is a big issue. Some woven carpets (such as Axminster) is constructed in narrow strips which are woven together. Stretching this type of carpet is quite complicated, to say the least. Top down (no lifting of carpet) drying with industrial dehumidification may be a better option of restoration when dealing with woven carpets. In case of any contaminated water damage, it is recommended you get the experts in. This type of water damage includes garden run-off, river flooding or sewage damage. The level of contamination to property and contents can be quite severe. In some cases, we may even remove parts of affected damaged ceilings or gyprock to prevent further damage. From a health perspective, it is simply not worth the risk to attempt mitigation yourself. It can be messy and dangerous work. When there is an insurance claim in place, most insurance companies expect IICRC certified technicians to take care of the restoration. We are an insurance preferred supplier in the industry. Our claims experience will be of significant value throughout the process. In cases where affected rooms contain heavy furniture and/or are full of contents, part of our work is to limit the damage to the customer’s possessions. We will unpack cupboards, move heavy furniture or arrange for removalists to take contents offsite for storage. Where rugs have become water damaged, we can remove them off-site to be professionally cleaned and treated to avoid any mould incubation from taking place. Finally, we recommend getting water damage restoration experts in instances, where mould incubation is starting. The threat of secondary damage through mould spores dictate that professional restorers should mitigate. It is not advisable from a health perspective to expose yourself or your family to mould spores or the cleaning agents which are used to eradicate them. Chem-Dry Action has over 20 years of water damage experience in Sydney. In addition to Sydney, we have participated in property flood events in Canberra, Newcastle, Melbourne and Brisbane. Our IICRC technicians have encountered every type of water damage covered in this article. Please give us a call if you are sitting with a water damaged home and need assistance or advice. We also offer a wide selection of other Sydney cleaning & protection services. Carpet Cleaning and Sanitisation. Pet Odour Removal.